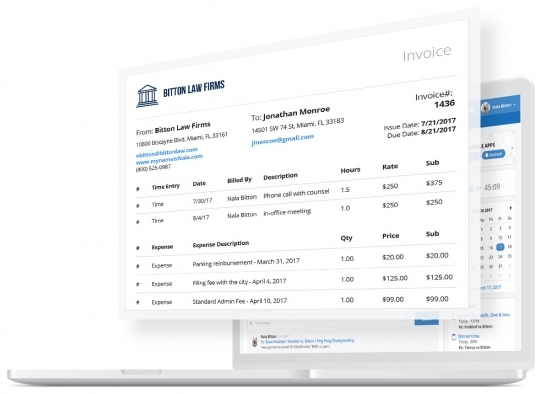 Automate your law firm today. ALL THE FEATURES THAT MAKE YOUR LIFE EASIER. Don’t get a bar complaint. 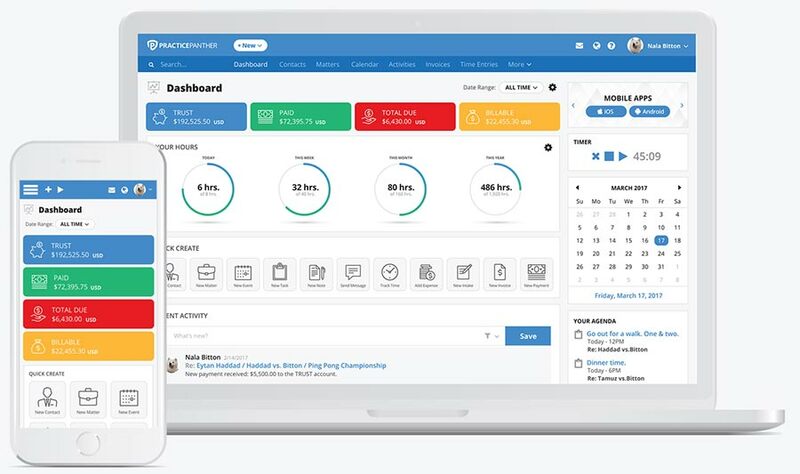 Managing your contacts and matters is the first step to getting organized with your new legal case management software. 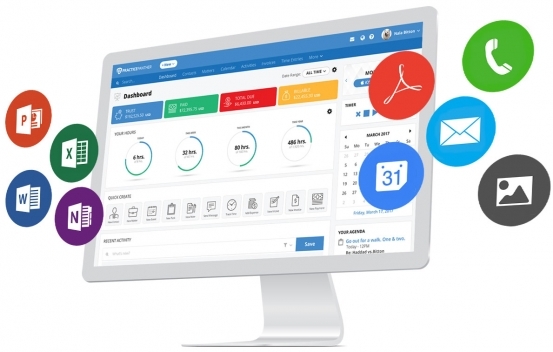 Use PracticePanther to be the central point for all your files. Save your files to your computer for offline access. 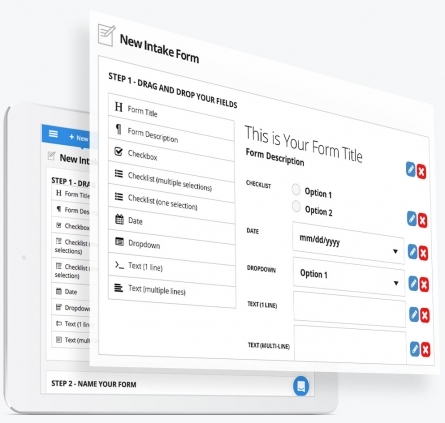 Build the forms with our drag and drop editor, and embed them into your website. When filled out, all the information automatically goes into PracticePanther. Track billable time and expenses, or invoice for flat fees or contingency. Get started in 3 steps: Generate invoices, send them to clients, and get paid. You just found all the features you ever need. Get started today. No credit card needed. Your time is valuable. Don’t give it away for free. 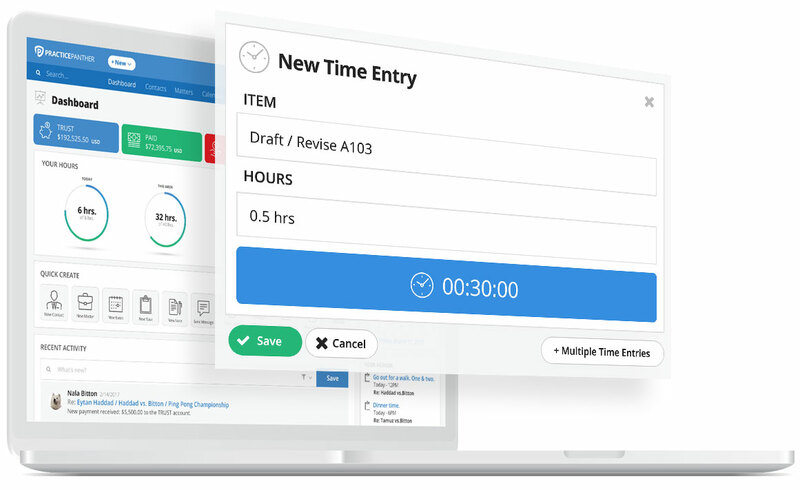 Keep track and generate invoices for all your billable time entries & expenses. We’re helping you get paid faster. Your client just needs to open the invoice and click the Pay Now button from their phone, tablet, or computer. Easy! 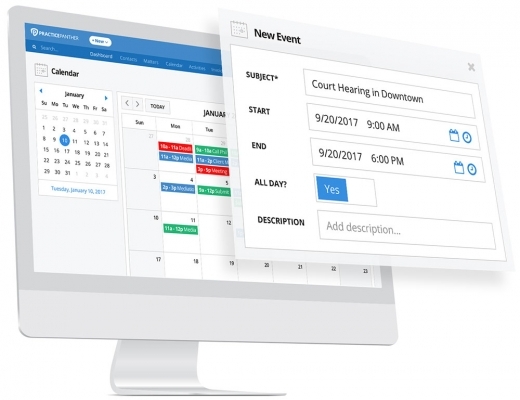 Consolidate your legal calendars and emails to one central software. Share your calendars with your firm and invite your team to meetings. Say goodbye to shouting across the office. Now you can assign tasks to a coworker and see which ones are incomplete or worse...overdue! Allow clients to view their invoices, previous payments, operating and trust account balances. They’ll love the transparency. Manage your trust and operating account balances for every client and matter. Request and accept retainer payments into your trust account. A few more user-friendly features for you. Enjoy carefree access across all your computers, smartphones, and tablets with our legal mobile apps for attorneys. Sync with all the apps you already use and love. 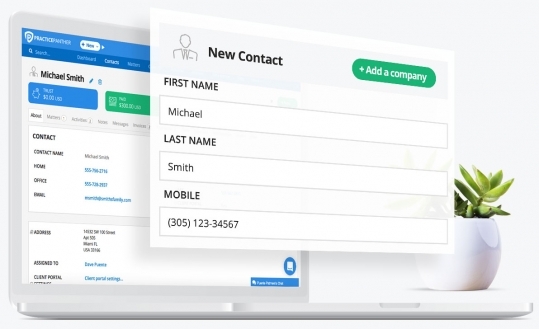 PracticePanther easily integrates with them to make the switch even easier.